This chemical resistant 3-gallon sprayer is excellent for everyday use for professional carpet cleaners. 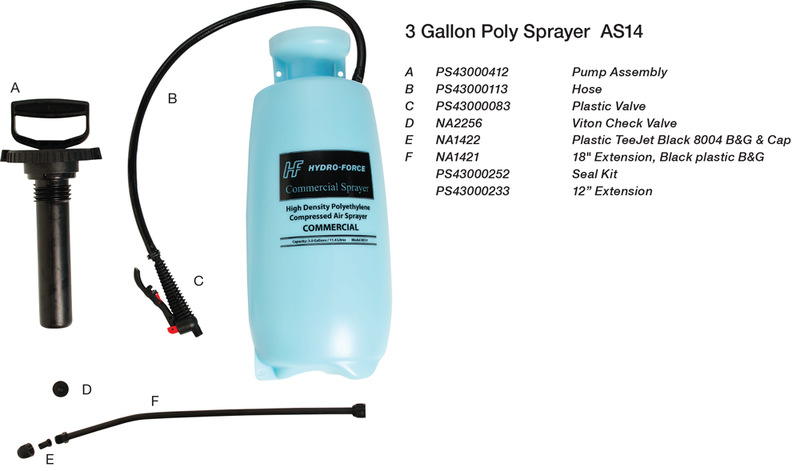 Ideal for prespray, protector, deodorizer, acid rinses and all water-based solutions (not for use with solvents). The transparent tank allows visualization of the liquid level. Durable plastic valve and extension, funnel top for easy filling, and an internal pressure relief valve. Since it has no metal parts, this is the perfect sprayer for harsh acids.